I don’t know if I’ve been in a sewing slump lately, or if it’s because of the four books I just read over the past two weeks. What an amazing journey that was! Now I’m starting over with the first one because I read it too fast and want to appreciate it at a slower pace. I am trying very hard not to start another sewing project until I get caught up on some of my unfinished projects that have started to pile up. 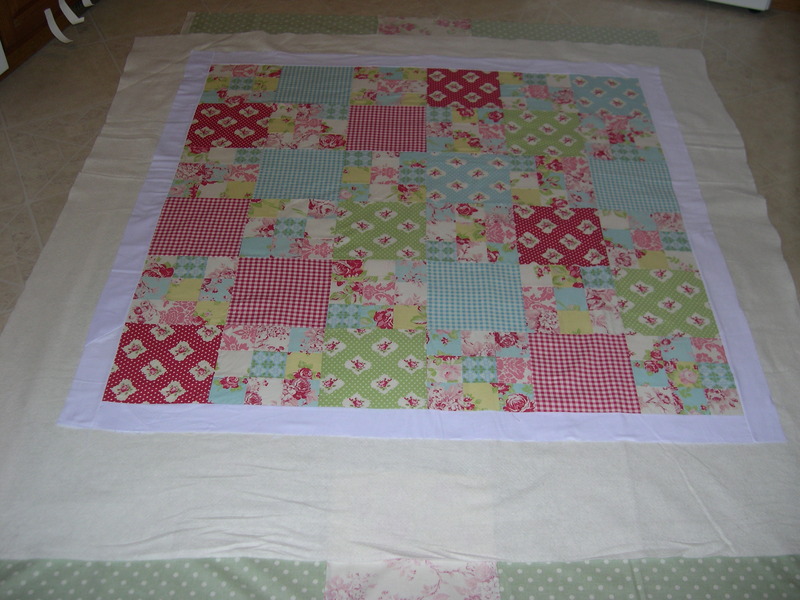 I did manage to get three quilts basted over the weekend. Remember that picnic tablecloth I made with those Jennifer Paganelli fabrics? Since I’m not going to sewing on a binding, I layered the quilt top with a solid blue backing along with a layer of flannel, and sewed them right sides together with an opening to turn right side out. 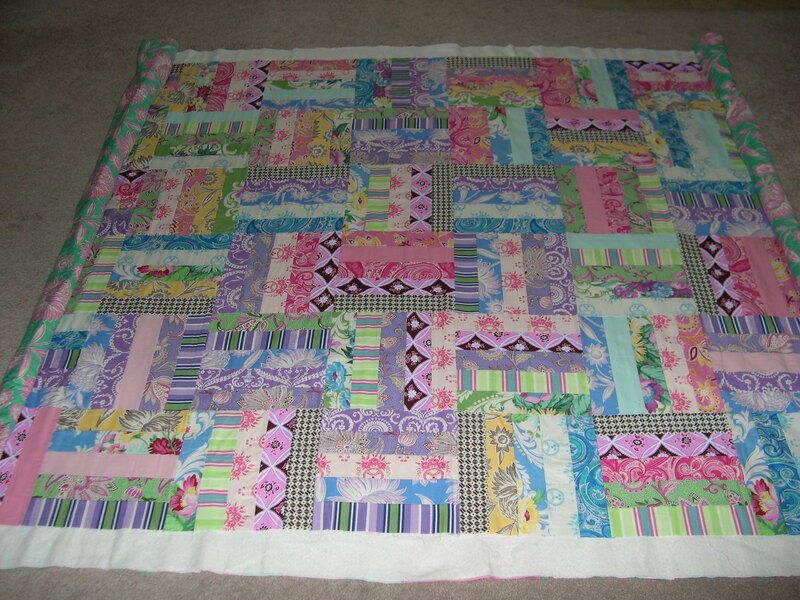 I made this quilt about a month ago using Darla fabrics, so I am happy it’s basted and ready to be finished now. I finally basted my quilt-along quilt so that one is ready too! I’m still working on sewing the binding to this coin quilt. I will make some progress, one of these days. Oh yea, Michelle, I was up very late last week reading that one too! Loved reading the story from Edward’s perspective. I hope Stephanie does more with that draft. Oh Terri, I think that we all go through those periods where we need to have a little distraction and a break. You’re doing great, and you’ve been doing so much! Enjoy your reading time, it sounds like you are reading some good books! Looks like you’re making some progress. I’ve been quilting lately instead of reading.. 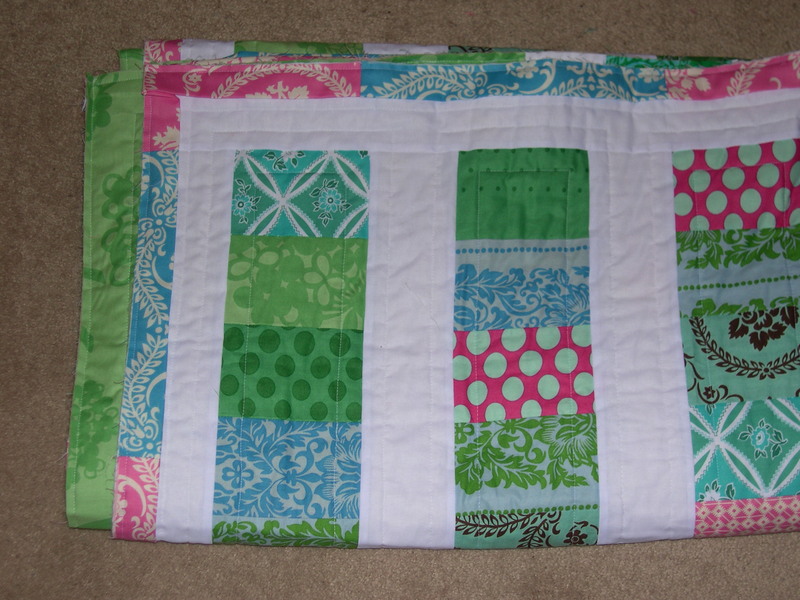 I love, love, love that Darla quilt! I am so inspired to make a Grand Revival quilt of some kind; the possibilities are endless!! basting is a LOT of work. 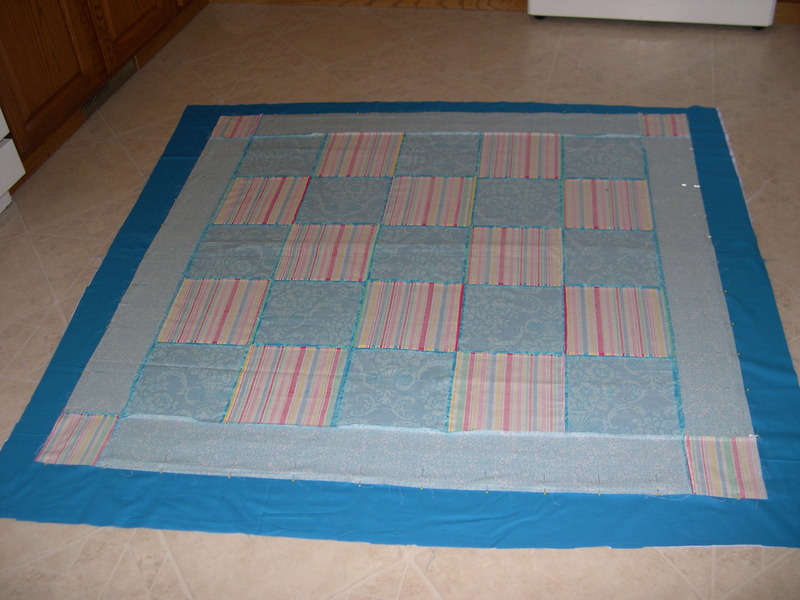 I can’t believe you basted three quilts…one is enough for me! They are all so pretty! It looks like you’ve made good progress! Wait ’till you have them all quilted and with binding. . .you’ll feel like a kid in a candy store with all your NEW loot to look at and use! I still really love the coin quilt! 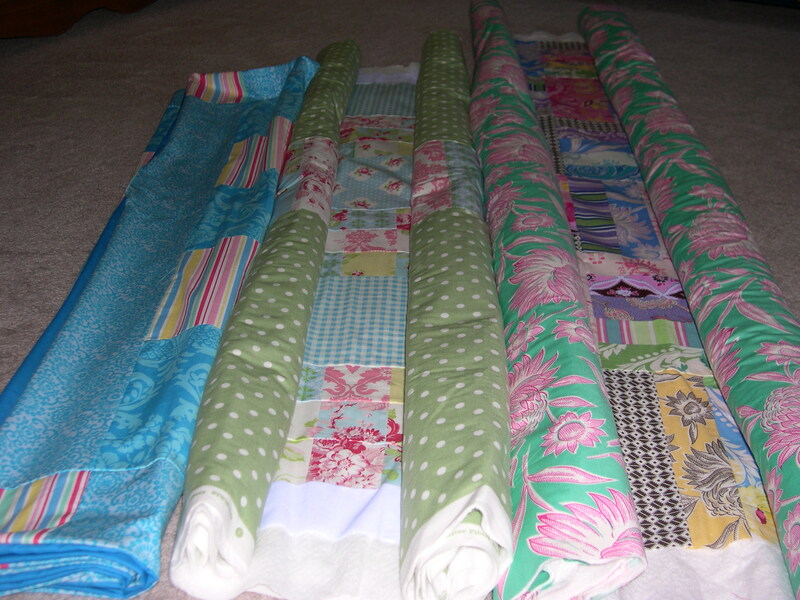 Sounds to me like you’re still doing quite a bit of sewing, and they’re all so pretty! It sounds like you are ready to finish quite a few! That’s definitely what I need to do this month as well! Problem is…I keep thinking of more things to make! Wow! You have so many great quilts in the works! Wow, look at that! You are inspiring me to try and finish up some projects around here as well. Hey, at least you are getting to the point of basting and binding, that’s more than I can say! you are busy and productive! Everyone is telling me that I need to read the Twilight series….perhaps I’ll give it a try too! The coin quilt looks amazing! Sarah got the first book from the library yesterday so we hope to read it over the school break! A book cover is a great idea. I also like the laundry bag thought too but I don’t have enough of the fabric for it. Hopefully I’ll get back to that house/store and can get more soon. Oh my gosh your a busy quilting girl! They are all beautiful, isn’t it fun to get finished with a quilt you’ve had sitting for a good month or two? I always feel like I accomplished something, and then I start another one. 🙂 Happy 4th!